The islands of the Caribbean are strung like a chain of pearls sweeping east and southward in a huge arc from Florida to Venezuela. On the eastern or windward side, the Atlantic Ocean pounds the shore. On the leeward side the calmer Caribbean Sea lies tranquil, sparkling in the sun. Beyond the islands of the Bahamas, Hispaniola and Puerto Rico, The Virgin Islands in the north arc southward to Grenada covering over 1000 miles of idyllic cruising grounds. The islands are all unique in both culture and topography, reflecting the rich and colorful history that has influenced their individual growth and development. Each area has unique sailing qualities that need to be considered when selecting a charter destination and we have included a brief overview below. Located in the northeastern Caribbean, about 30 minutes by air east of Puerto Rico, The Virgin Islands are known for their idyllic sailing waters, excellent anchorages and laid back local charm. The cruising grounds cover both the US and British Virgins and remain the most popular charter destination. First time charterers will find this the ideal cruising ground. The Leeward Islands span some 200 miles and include 10 major islands operating as different nations. Some are French, some Dutch and others independent with an English tradition. The sailing conditions vary from Anguilla and St. Martin in the north, with a wide choice of anchorages and shorter easy sailing conditions, onto Antigua in the middle and then Dominica at the southern end, offering the sailor exhilarating longer passages between islands. From the French Island of Martinique, the Windward Islands stretch southward nearly 200 miles. They lie almost across the easterly trade winds, which makes for easy passages north or south and are just far enough apart to allow for some wild romps in the open ocean before tucking into the calm of the next lee shore. 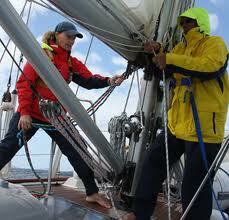 The Windwards are a joy for the experienced sailor and crew. Good trade winds ensure exhilarating passages. Choosing a bareboat, captained or fully crewed sailing charter can seem like a bewildering experience, especially if it's your first time. You will have to choose between different destinations, types of boats, provisioning plans, land accommodations etc. A good starting point after you have zeroed in on the right destination is to understand what type of vacation is right for both you and your crew. Crew size, level of experience and expertise, general crew appetite for enthusiastic sailing versus luxuriating in the Caribbean sun while anchored in an idyllic cove with a rum punch in hand; these and of course budget will all drive the final decision. The crewed charter yacht has a permanent crew consisting of a captain and cook with additional crewmembers on larger vessels. The price includes most meals (depending on the vessel) and open bar. Cuisine is prepared, based upon pre-determined preferences, agreed upon prior to departure and usually is of high-caliber. 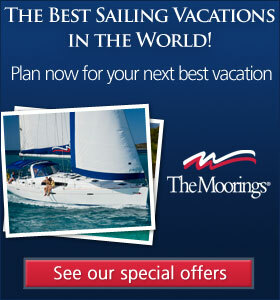 The daily sailing and activity schedule is flexible and you have as much input as you wish. The crews are personable, knowledgeable and there to make sure your time in the islands is as safe and enjoyable as possible. Crewed yachts usually come equipped with kayaks and various water activity toys in addition to entertainment, AC (depending on size) and a large tender. The price of a crewed charter will vary based upon the size of the vessel, number of guests and destination. I am often surprised at how reasonable a crewed charter can be for a family or vacation with friends since all charges, other than gratuity for the crew, is included. A charter company will require that you have experience, as a skipper, on a similar size of vessel; you know the basic rules of the road, navigation, how to anchor, how to dock, when and how to reef and understand basic mechanics. The boat will be delivered at the charter base, clean and fully equipped, tanks and fuel topped off and ready to go. All charter companies will require that you attend a briefing of the area and an on-board boat briefing of all shipboard systems. A dinghy with outboard will be supplied as part of the charter package. Many charter companies offer several provisioning options that allows you to select the menu that works for you and your crew and have it aboard and waiting upon arrival. Likewise, in most cases you will be able to select basic snorkeling gear free of charge prior to departure. Your available budget will often determine both the size and age of the vessel and equipment and to this end it is important that budget and expectations are aligned. A captain and /or cook can be added to the bareboat charter, be it for the entire duration or only part of the cruise, this will allow you to get comfortable with the vessel and the cruising grounds. In some cases a skipper / guide can be added to the crew for a few hours. This is a great option for first time charterers who are new to bareboating and the cruising grounds. 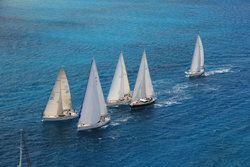 A typical charter company will require that you fill in or submit a sailing resume prior to contracting the boat. They are looking for depth of experience in a decision-making capacity on a similar sized vessel. The worst thing that can happen is to get down to the islands with friends or family and be overwhelmed by the vessel, the weather or the navigation required for everyone to have a good time and enjoy the experience. Although the services of a skipper at the start of a charter can certainly help get everyone comfortable and get relaxed, but there is no substitute for experience gained by time on the water or taking classes. The level of experience required will, to some degree, dictate where you charter. For instance, if you plan a charter in the Virgin Islands, there is deep water, no fog, little tide and settled trade-wind weather in a cruising ground that is less than 50 miles end to end. With that being said, small boat sailors with experience should not be discouraged. Take a skipper for a day or two in an area like The Virgin Islands or The Abacos in the Bahamas and you will soon be building your boat handling skills. There are a number of ways to build experience and get yourself and crew qualified for bareboat chartering. These range from crewing at the local yacht club or sailing center, to signing up for sailing lessons at a sailing school or taking a learn to bareboat course locally or as part of your first charter experience. If possible, make it a family experience so everyone is fully engaged and building boat handling skills together. 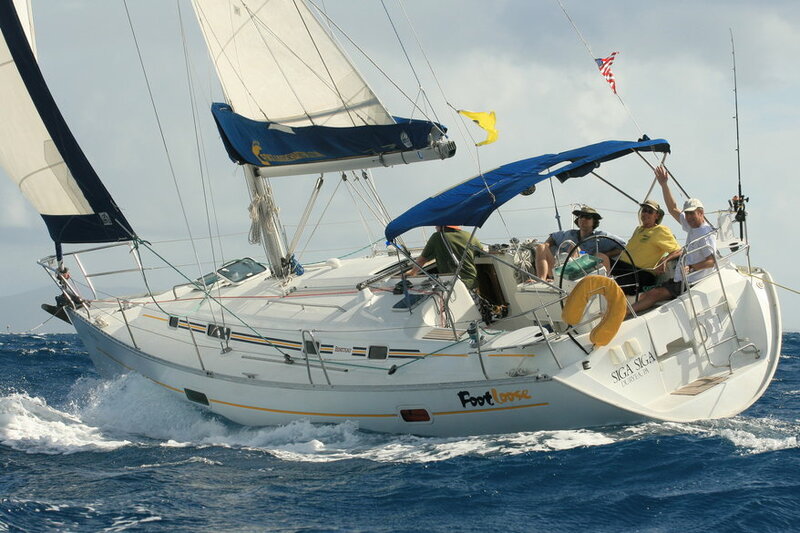 One of the more notable programs that help sailors on the road to bareboating expertise is 'Fast Track to Cruising', a course offered by Steve & Doris Colgate's Offshore Sailing School. Offered in several locations in the USA as well as The British Virgin Islands, this is a weeklong program that teaches all the requisite skills necessary to charter a vessel from most major charter fleets around the world. This type of instruction is a tremendous confidence builder. A flotilla charter is comprised of a number of charter vessels, often similar in size and performance, accompanied by a larger vessel or 'mother-ship' with professional crew aboard. Depending on the individual organization, flotillas usually sail as a group from one anchorage to another. This loose structure allows you to enjoy building skills, with the security of knowing that there is a support system in place if you need assistance. Each morning a briefing takes place on the mother ship, which also serves as a social platform for an evening sundowner where you can share the triumphs and tribulations of the day's activities. The determining factors in selecting the right vessel for your charter will have a lot to do with budget, skill level, size of crew and charter destination. From my personal perspective I prefer to sail with a smaller crew on the largest boat I can afford. That being said, when you end up with a large crew ready for some serious partying in the Caribbean, you will want to carefully consider not only the available sleeping accommodations and number of heads but also the available area for socializing, since much of your time aboard will be spent in the cockpit. 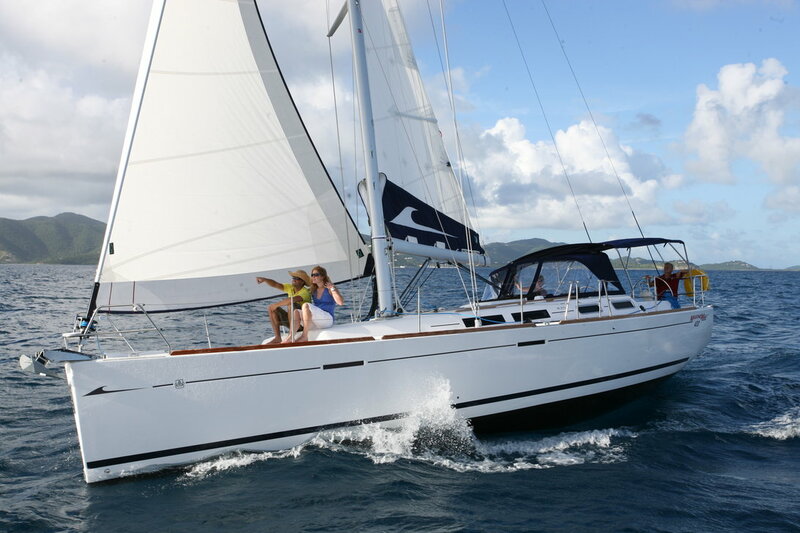 For my own part we generally sail a mono-hull (45 feet) with just my wife and myself, but when family and friends join us for a Caribbean cruise we prefer a catamaran that seems to suit both sailors and non-sailors alike. Catamarans (charter version) are a little faster than monohulls off the wind but far roomier size for size. Check the websites of the various charter companies and study the floor plan layouts of the available fleets. Number of berths, size of berths, number of heads, level of privacy, water capacity, ventilation, location of galley and the size of the cockpit area. 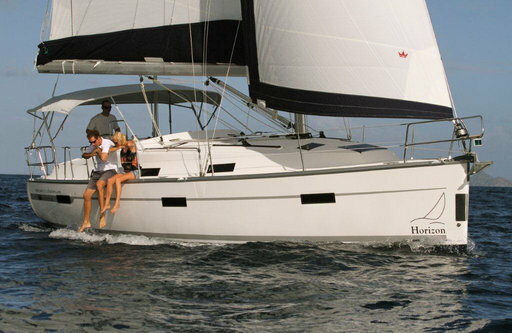 Three couples on a forty-foot monohull can seem like a very compelling, cost-effective solution but you have to be pretty close friends and have cruised together often in order to keep the crew in harmony. The European sailors have historically tended to pack more crew aboard than charter parties from America and therefore you will find that interior configurations will often reflect the prime target market needs. The charter of powerboats is becoming increasingly popular, not just with traditional power boaters but also with sailors who are looking for a low-key, comfortable charter experience. In general powerboats are better suited to the more protected cruising areas such as the Virgin Islands, the Abacos in the Bahamas and the Sea of Cortez, Mexico. As catamarans have become increasingly popular with sailors, power cats have also been introduced into the major charter fleets. 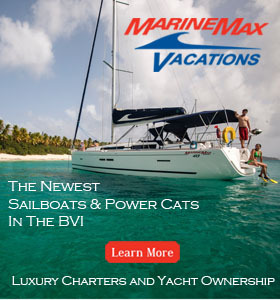 In addition, there are companies like Virgin Traders in the BVI who specialize in this market segment offering a range of well equipped modern motor yachts for charter, both bareboat and crewed. The common notion that it takes little skill to operate a powerboat is a misnomer. 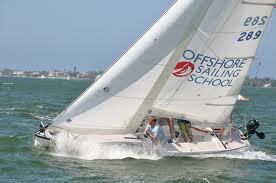 The fact that some major sailing schools, such as Offshore sailing School, have added a Power Cruise course, offers testament to the demand and requirement that operators are skilled in both coastal navigation, rules of the road, man overboard recovery and simple maintenance before chartering a vessel with friends and family. 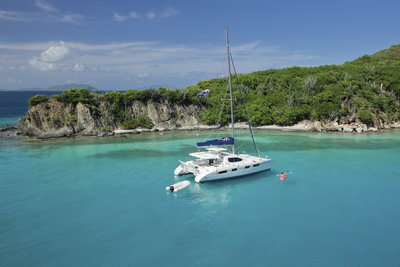 That being said, add a skipper aboard and you can enjoy a Caribbean charter, with very little experience. The total cost of a charter holiday is logically comprised of airfare, provisioning, personal expenses and the charter fee. Before you sign on the dotted line make sure you have researched all the details and understand what your overall costs are. There are two available routes: Contact a charter broker and avail yourself of their experience or contact the charter companies directly. 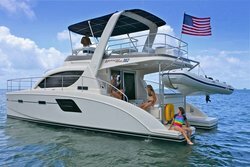 As a logical starting place, take a look in the back (charter pages) of the major boating magazines, where you will find advertising and contact information for many of the larger companies. In addition, many of these magazines also produce annual charter editions and a review of the archives will also assist and hasten your search. Charter brokers are independent and therefore are able to offer perspective on a multitude of companies. Their fees are paid for by the operating company or owner of the vessel and therefore the use of a charter broker will not add to your cost. Reputable brokers take the time every year to visit the fleets and attend annual charter shows, so they are able to stay in tune with the market. The two most common charter broker trade associations are the American Yacht Charter Association (AYCA) and Charter Yacht Brokers Association (CYBA). Call several brokers and review your needs, make sure you have a good rapport with the agent before continuing since this whole process is meant to be fun. Whichever way you decide to go, ask for several references and call them before signing on the dotted line. Your available budget will often determine both the size and the age of the vessel and therefore it is imperative that budget and charter expectations are in perfect alignment. Leading brand companies such as The Moorings, Sunsail or Horizon, who operate fleets in numerous locations, will typically keep a boat in service for four to five years. These vessels are pre-specified to fleet standards and have identical equipment in order to keep the logistics of maintenance and part availability under control. Other fleets like TMM or CYOA typically manage yachts for individual owners. They likely have different types of vessels available with owner-customized equipment. 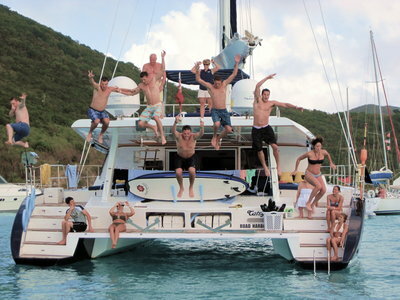 Companies such as Footloose and Conch Charters in the BVI, specialize in taking yachts out of the tier one fleets at the end of their initial term and offering them at substantial discounts. The important thing to consider during your research phase is more the level of maintenance than the actual age of the vessel. When you book your charter vessel, the charter company or charter broker will send you a packet of information, in some cases you will be required to download it from their website. This will include a contract, sailing resume, provision and beverage preference list, inventory list, passenger/crew list and projected arrival information. In most cases, the company will arrange local transportation to meet you upon arrival and bring you to the charter base. Upon arrival at the marina, depending on boarding time, you will be taken to the yacht and a staff member will set up a time for both a chart briefing of the area and a boat check out. They will also furnish copies of Cruising permits, ships papers, Marine Park permits where applicable and contact information. The sooner you can get your gear packed, provisions stowed, beer chilled and briefings completed, the sooner you can cast off and get into the rhythm of the islands.